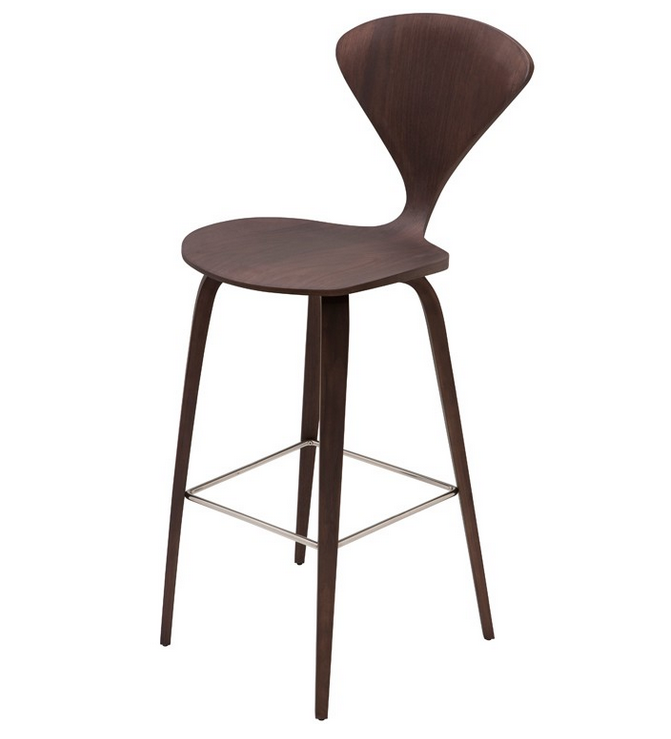 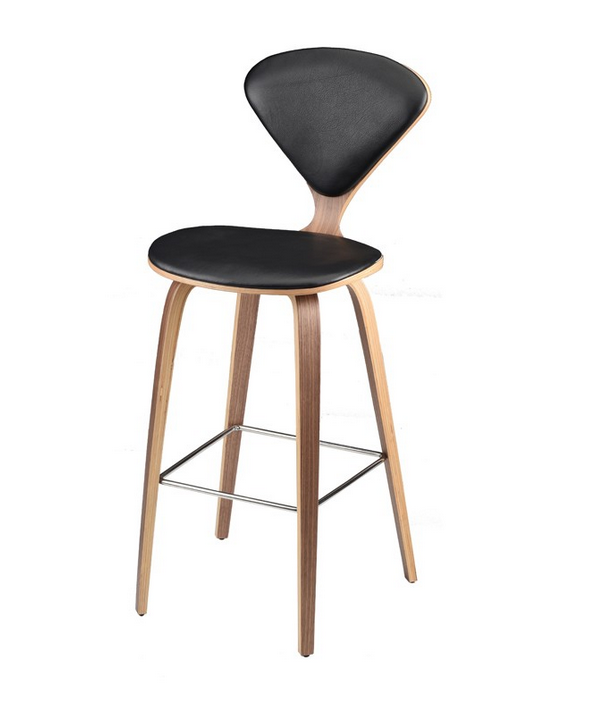 The Satine bar stool is an inspired collaboration of design and craftsmanship. 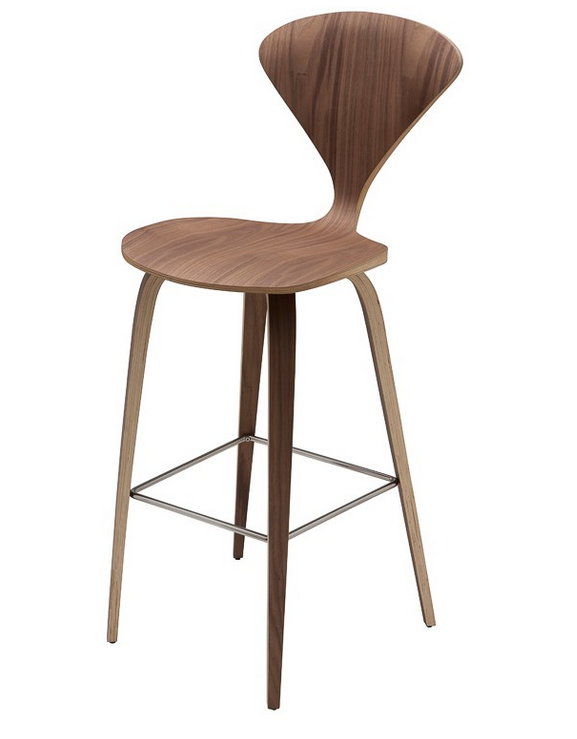 An eye catching design of formed and sculpted plywood with an American walnut veneer. 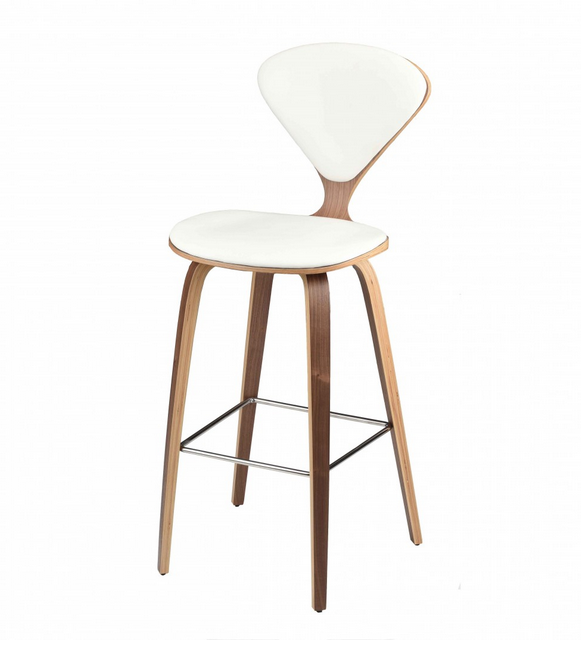 Adding dimension and strength, a stainless steel rod footrest is an elegant feature in high polish stainless steel.